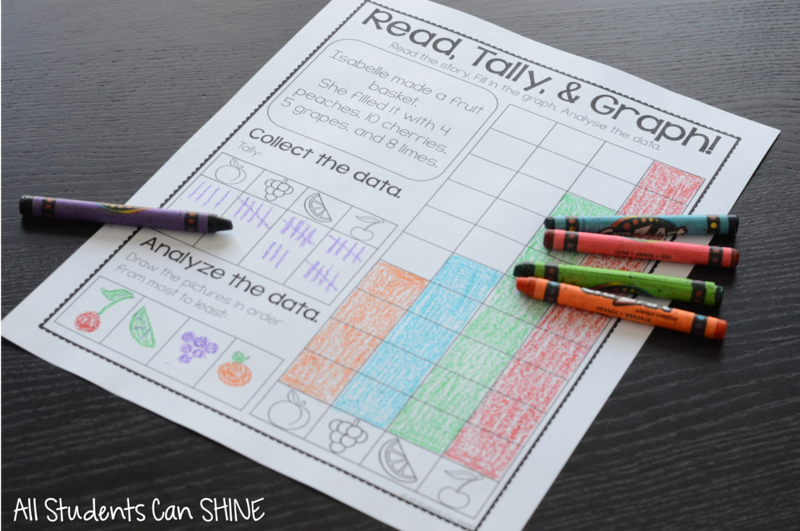 I'm here to show you my new graphing printables! It is seriously one of my favorite things to teach! HA! I know... weird but true! 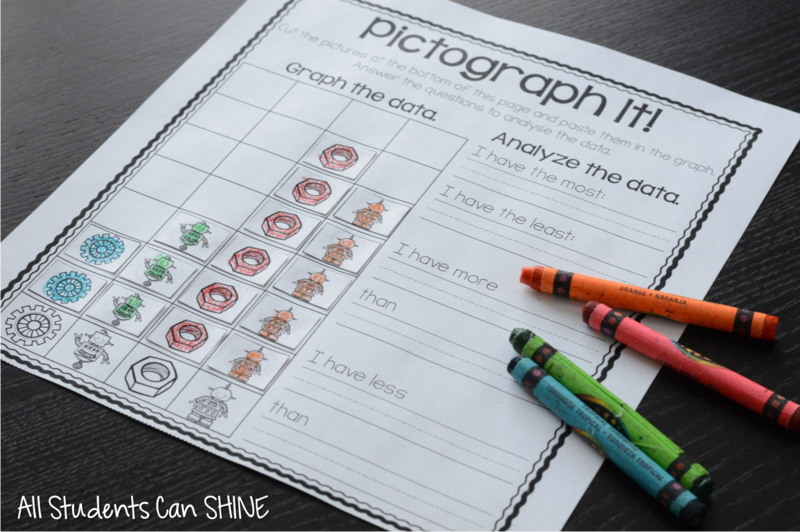 Students cut the pictures at the bottom of this page and paste them in the graph. They answer the questions to analyse the data. 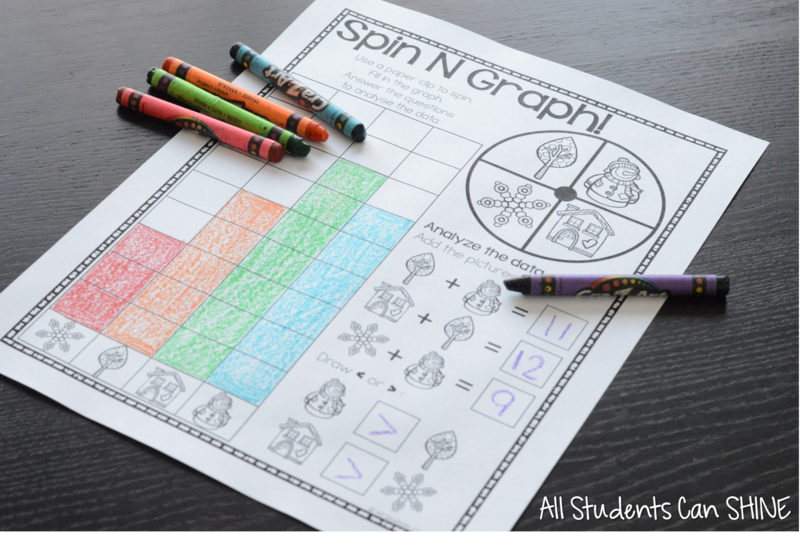 Student use a paper clip to spin and fill in the graph. Students read the story and fill in the graph. They analyse the data by filling in the missing information. 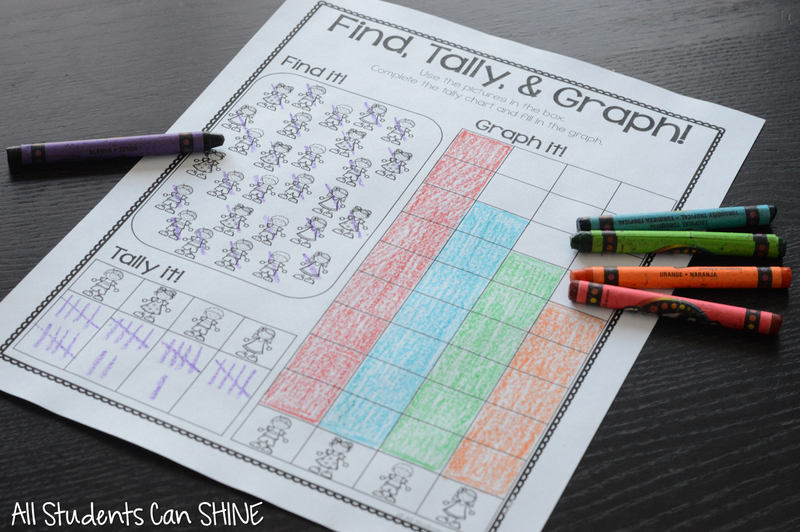 Students use the pictures in the box to complete the tally chart and fill in the graph.